Welcome to my blog, and thank you for visiting! As you can tell from the title, this blog is primarily going to be an outlet for me to express my thoughts and insights on several issues involved in LDS scholarship and apologetics. Some may wonder what is meant by “Reason and Revelation: Insights into LDS Scholarship and Apologetics.” First, let me explain what I mean by “Reason and Revelation” in the context of my blog title. Reason: The practice of using logic, rational thinking, evidence, and argument to gain knowledge and learn truth and evaluate truth claims to determine their validity. Revelation: Knowledge and truth given by God. There are two forms of Revelation, general revelation and personal revelation. General revelation is given to the world through God’s chosen servants (i.e. Prophets and Apostles) and personal revelation is given to an individual through the Holy Ghost (or Spirit of God) according their faith. 1. The reason could be based on incomplete knowledge, making it seem contrary to revelation. When more information in secular learning becomes available, the picture will become clearer and reason will harmonize with revelation. 2. The revelation may be misunderstood, causing it to seem to contradict reason, but when understood in its proper context it actually harmonizes with reason. 3. The revelation may actually not be a revelation, or is a false revelation, and therefore cannot be harmonized with true reason. 4. The reasoning may be flawed, thus the apparent contradiction with revelation does not really exist. LDS Scholarship: The insights into the scriptures, teachings, or history of The Church of Jesus Christ of Latter-Day Saints gained through academic study and research. 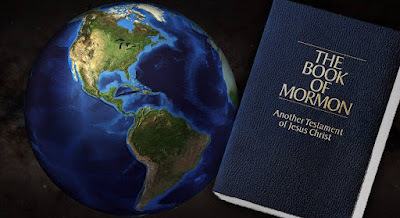 LDS Apologetics: The defense of The Church of Jesus Christ of Latter-Day Saints, including its scripture, doctrines, and history, against the criticisms of anti-Mormons and other critics, typically (though not always) through scholarly means. Hence, while the theme of balancing reason and revelation (or study and faith) will be touched on throughout many of the topics on this blog, I will primarily be focusing on the reasoning rather than the revelation. It is important to understand, however, that my process of reasoning is affected by what I perceive to be revelation. More on who I am and what I am doing will be shared later. For now, let me just say this: I am a member of The Church of Jesus Christ of Latter-day Saints (LDS), and I look forward to helping you understand why. While a great deal of this blog will be dedicated to defending the LDS claims, I would like to make clear that I am fully aware that legitimate criticisms against the LDS Church do exist. Nevertheless, I do believe the LDS Church to be a divinely established institution, containing and maintaining the truths which God has revealed through prophets both ancient and modern. Initially what I was planning to do was format my posts into “series” and “sub-series” where I would post several subsequent articles related to each other with overall topics and sub-topics. However, I found that it would be easier if I could just address issues more at random, allowing my study interests some freedom to move in the direction they wish to go. So, after a brief introductory series where I will share more about me, my purpose for this blog and my testimony, I will move forward discussing various issues pertaining to LDS doctrine, the Book of Mormon, the Book of Abraham, the prophetic call of Joseph Smith, Church History, etc. I will try to keep things organized by creating index pages and postings which will provide links to related topics of discussion. On one final note, I will try to respond to comments, questions, and critiques as often as possible. I want to be involved in the discussions that follow each post, however, if there does begin to be a lot of traffic, or if other priorities in life become more demanding, it will become difficult to keep up, so I apologize if I am not able to respond to every criticism. However, I hope that this blog creates an atmosphere that encourages discussion between LDS and non-LDS, in which you (the visitors) interact and dialogue with each other and thus relieving me from the pressure of responding to every comment and criticism. Also, if there are any issues you would specifically like to have addressed, please feel free to say so in the comments. I will try to make a plan to address it, as well as try and direct you to some other resources which could help answer your question. Once again I’d like to thank you for visiting my blog! I hope you enjoyed it, and please come back again! "As such, I echo the sentiments of David L. Paulson and R. Dennis Potter, in that I feel “that both reason and revelation support the LDS position." It should be noted, however, that Dr. Potter would no longer subscribe to this view, as he left the church a couple years ago. I am aware of Potter's position now ( I actually had a class from him this semester at UVU), which is why I did hesitate putting this quote in. However, I do think in context of the original article (which was a response to the Evangelical position) he would still agree that the LDS view point is the more reasonable (though I don't really know for sure). Either way, I felt the statement aptly expressed my own thoughts, so I decided to included it. So when reason and revelation contradict, but you MUST make an important decision, what do you recommend? You do all you can to better understand each, but you just can't get them to coincide. Do you go with the reason or have that "blind faith" and follow revelation? That is an excellent question...one which will be more clearly answered in a forthcoming post on my testimony. Part of the answer lies in the fact that my reason and revelation formula is missing a few key ingredients, one of which is experience. If you are in a situation such as the one in which you have described above, experience can prove valuable. Have you experienced a similar situation? If so, what did you decide then? Was it right? You could probably trust the same results for this related situation. Another question to ask is have you experienced revelation from this source before? If so, did that revelation prove to be a true revelation, or a false one? Again, you can likely trust the previous results to apply to this new situation. Experience can often bridge that gap between reason and revelation and help us see which tool (reason or revelation) is broken in a given situation. Nonetheless, experience doesn't just come out of nowhere. It must be cultivated and developed. So some situations may not have the benefit of previous experience to draw back on. There is one more ingredient that comes into to play, and which could assist in this matter, but I will leave it until my testimony posting. The short answer is to exercise the "blind faith" and give precedence to what seems to be revelation, trusting that God will not lead us astray and therefore if it is NOT a revelation, God will give us a "stupor of thought" (D&C 9:9) before we get too far along (just as Elder Scott explained in a Conference talk not too many conferences ago). Of course, even this response could require some experience wherein enough trust in the Lord has been developed, but at some point one must just be willing to exercise that "particle of faith" through a "desire to believe" (Alma 32:27). The results that come from taking action can often fill in the blanks - whether your decision was right or wrong. Anyway, I hope this helps a little bit. I have definitely got to think about this one a little bit more. What is your answer? How would go about making a decision in such a circumstance? I anxiously await your testimony post, Neal. Oh, and we should do lunch this summer. I think you will like my testimony post...or, well, at least I think you will have a lot to say on it Jon. I would definitely be up for lunch some time! Where are you going to be this summer? Up in Logan or back down in Sandy? I'm back in Sandy for the summer. Well, Draper actually. I'd like to comment on what "The Editor" asked. There is no such thing as a contradiction between reason and revelation. Sounds a little fundamentalist, doesn't it? Let me explain. There is no such thing as "blind faith." When people believe something, they believe it for a reason. That reason may be something as simple as a subjective spiritual experience, or it may be a complex mathematical formula proving the existence of a Creator. It really doesn't matter if the reason for belief is a good reason or not, or if it belief is justified by the reason. What matters is that every individual has a reason for believing something. Maybe the reason is that they were raised that way and they've never considered any other alternative. Maybe it is because they feel good about it. Maybe it is because they have studied the issue from every angle for 20 years and finally arrived at a well-thought-out conclusion. No matter what the reason is, everyone has a reason for believing what they believe. So the "revelation vs. reason" dichotomy is a false one, and should rather be described as "reason vs reason." We can pit the reasons why we believe something against the reasons why we shouldn't believe something. Let me give an example of how this might work in the real world. Sister Jones believes that the Book of Mormon is an authentic ancient record, translated via Joseph Smith. The reason she believes this is because of experiences she has had that she considers sacred and spiritual. Sister Jones has never studied the Book of Mormon from a scholarly perspective, and is totally unaware of criticisms against it. Then one day her neighbor tells her about some anachronism in the Book of Mormon. Sister Jones has no idea how to answer it. She researches, studies, and ultimately can't figure out how to respond to the criticism. So, Sister Jones has to decide if her reasons for believing in the Book of Mormon are stronger than her reasons for disbelieving in the Book of Mormon. Which ever way she decides, she is relying upon reasons. It isn't "blind faith" if she maintains faith in the Book of Mormon. It is faith that is established upon sacred experiences she believes she has had. That is her reason, whether we like it or not (and I happen to think that is a great reason). As a final note, I think it is important to remember that there is a distinction between having reasons to believe something, and being able to persuade someone else to believe something. Or, as Evangelical scholar William Craig has put it, "How do I know that Christianity is true? In answering this question, I have found it helpful to distinguish between knowing Christianity to be true and showing Christianity to be true." Just because you can't prove that something is true doesn't mean you can't believe that something is true. Thanks for stopping by and sharing your perspective! Those are some excellent insights, which I had never really considered before. I agree, ultimately we all have our "reasons" for believing or not believing, and we ultimately must decide on which set of reasons (or reasoning) we will accept as valid. With that said, I think The Editor (not that I can speak on his behalf) was using the terms as I defined them in the posting. In which case, while agree that "reason vs. revelation" is a false dichotomy (as I explain in the posting), I do believe there are times when the two present an "apparent" contradiction and we must choose between the two. Still, I think you make a good point. There is always some reason to back up what we believe. Maybe we could rephrase The Editors comment a little to fit the issue into a "reason vs. reason" scenario. When reason that is supported by logic and evidence contradicts reason supported by revelation, and you must make a big decision, what do you do? I think phrased this way, The Editors comments fit the Sister Jones situation you provided as an example, but maintains the original intent of The Editors comments. Hi Neal. Sorry I'm so late in getting back to this. I don't see any kind of box I can check that let's me know when a comment is made in response. I just remembered this post and thought to come back to it today. "When reason that is supported by logic and evidence contradicts reason supported by revelation, and you must make a big decision, what do you do? " I'd suggest that before all else, one should slow down. In weighing reasons for belief or disbelief one needs to go slowly, don't be hasty. There isn't a need to rush. Sometimes the initial shock of cognitive dissonance can be overwhelming, and we badly want a way out. In order to relieve the stress we are feeling we sometimes will make rash decisions, such as abandoning faith or leaping into faith. What we need to do is to go slowly, realize the answers might be days, weeks, months, and even years away. Be cautious. Then, when you feel like you have sufficiently weighed the issues, make a careful decision. No problem. But be careful not to be spiteful towards those who have also carefully made a decision if it is opposite yours. (1) The LDS Church has as good a chance of being true as any other. If I come to the conclusion that the LDS Church is false, I will likely become agnostic because I don't expect to find another faith with better evidence for it. (2) Living the life of faith is incredibly satisfying, productive, and joyful. Even if one concludes that the underlying doctrines are incorrect, it is worth remaining in the community of faith for very practical reasons...that it is a very happy way to live. I couldn't agree more! Thank you for stopping by and adding that insight! I also really like your two "rules", they are my own thoughts exactly.